That’s the message coming from Mother Jones in the wake of Palmer vs. DC, the federal court decision that orders the District of Columbia to allow the carrying of handguns outside the home for self defense. 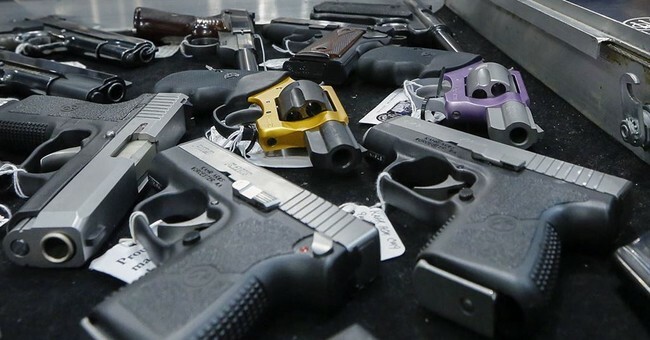 The District has been granted a stay of 90 days in order to write a law allowing some mechanism of concealed carry, bringing it inline with every other city and state in the Republic. The District of Columbia is unlike any other American city. It’s filled with important federal agency buildings, monuments, courthouses, not to mention the White House. Visiting dignitaries, heads of state, and many members of Congress travel its streets on a daily basis. The federal buildings, monuments, and courthouses in D.C. are no more prone to attack—and no more accessible—to concealed carriers than they are anywhere else in the United States. In other words, nothing at all charges. Likewise, the policy on concealed weapons at the White House does not change. Foreign dignitaries and heads of state travel with armed private or government-provided security of their own in the District, just as they do as they visit other parts of the nation (such as New York City for the United Nations). Again, nothing significant changes. DC is also home to large public events attended by all manner of VIPs, including presidential inaugurations, which are difficult enough to secure without the prospect of gun-toting citizens joining the fray. The security apparatus in DC is intense. And assassination attempts aren’t unheard of. Former Mayor Marion Barry Jr. was shot in 1977 in the DC Council building. John Hinckley Jr. shot President Reagan as he left the Washington Hilton. There was also the 2013 Navy Yard shooting that left 12 people dead. DC is a magnet for crazy people with guns, something law enforcement officials have long recognized. Why, it’s almost like people willing to commit murder are willing to violate laws on how they might commit their crimes. Metropolitan Police Chief Cathy Lanier testified before Congress in 2008 against a bill pending in the House that would have accomplished what Scullin’s ruling effectively did, overturning the city’s gun laws. She noted that in order to watch the oral arguments in the Heller case, she had to leave her gun behind. No weapons are allowed inside the very building where the justices decided that the city’s gun restrictions were just too restrictive. Again, firearms aren’t permitted in federal buildings, and that doesn’t change, and Mencimer begrudgingly admits in the following paragraph. Many of those type of restrictions in DC will remain in place, regardless of Scullin’s ruling. Both DC and federal laws will still allow the government to bar the bearing of arms in certain places, including federal buildings, schools, the Capitol, etc. Traversing the District without encountering terrain that prohibits guns would be difficult. Just crossing the trendy DuPont Circle neighborhood might entail stepping foot on federal parkland, where guns are barred. Even so, the ruling, which took effect almost immediately, could put a lot more guns into a city that’s spent untold millions trying to secure and defend against terrorist and other public safety threats. The plaintiffs in the case that prompted Scullin’s ruling, Palmer v. DC, argue that DC’s gun laws need to be overturned for the benefit of law-abiding citizens. The plaintiffs are all described as upstanding folks just looking to defend themselves on the mean streets of DC (or at least not get arrested for having a gun in the car, as one of them did). But, as any number of recent gun-related massacres can attest, not all legal gun owners are sane, stable, or well intentioned. If Mencimer and Mother Jones actually attempted to learn something about concealed carriers beyond the cartoonish stereotype they’re ceaselessly worked to create and propagate, they’d know that concealed carriers are, by definition, far more law-abiding that the average citizen. They have to be, in order to pass the intensive background checks required by those states that issue permits. If they bothered to do actual research, instead of relying upon intern-generated, error-filled “reports” from gun control propaganda groups, they’d also know that concealed carriers are not only more law-abiding than the average citizen, but less likely to shoot an innocent bystander than law enforcement officers. A significant number of concealed carriers also spend their own hard-earned dollars to acquire better weapon training than most law enforcement officers, and practice with their firearms more often, to a higher level of proficiency. Of course, none of this matters to Stephanie Mencimer or her bosses at Mother Jones, or their fellow travelers. They aren’t really concerned in the slightest that a foreign dignitary might be shot by a lawful concealed carrier. They know the odds of that are infinitesimal. They don’t remotely think that concealed carry in the nation’s capital will make the Secret Service’s defenses around 1600 Pennsylvania Avenue any more porous. No, what burns Mother Jones and their fellow travelers about Palmer vs DC is that the District of Columbia was their anti-gun Alamo, their last refuge in a nation that is, in their warped world view, awash in too much liberty. The District was their final stand as the nation’s last bastion of unqualified statist elitism that marked the ruling class as “better” than the rest of the nation. But Olympus has fallen. 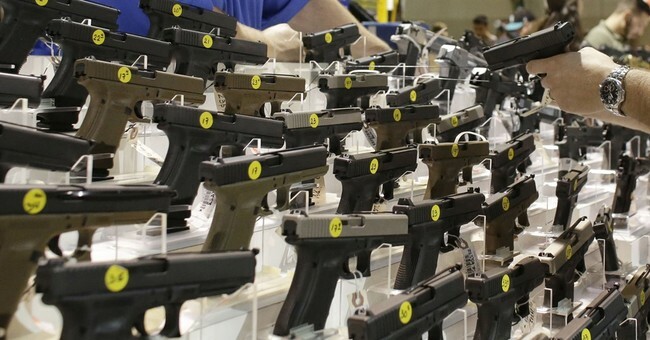 Law abiding citizens who aren’t “important enough” to warrant an armed security detail will soon be able to defend themselves in the crime-ridden streets of the nation’s capital. This infuriates them.